As of 2010, the population in Esmont was counted at 528 people. Esmont is located in Albemarle County, Virginia and is listed on the National Register of Historic Places. Many homes in Esmont boast historical architectural charm. Historical properties are often restored in order to keep the historical integrity of the building. When repairs or upgrades are made to an older home, it’s important to ensure that the appropriate materials and techniques are used in order to keep this integrity. Our professionals at Cavalier Window Cleaning understand the importance of using the proper techniques and materials so that the materials of your older home aren’t damaged. With different techniques, your structure can be cleaned with our services. We have have helped many homeowners in the Charlottesville and surrounding areas who own older homes as well as new homes. In fact, to date we’ve helped over 2,000 in the local surrounding areas. 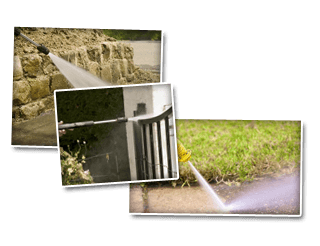 Our expert power washing services are available in the Esmont area as well as a number of nearby locations. We also provide Window Cleaning, Power Washing, and Gutter Services. The screens and window sills are as important to clean as your windows are. Cleaning the windows is simply not enough because with a dirty screen or window sill, the debris only gets blown in when you decide to open the window. No one wants to breathe in dirt when they’ve just had their windows washed, so that’s why we thoroughly clean your entire window area. For the best in clean, Cavalier is your choice in Virginia. Professional power washing can get just about any surface cleaned up. Are dirty sidewalks or porch areas the problem? Does your deck look old and weathered? Is your siding or roof top sporty ugly black or green stains? Is there old gum stuck on your sidewalk or oil leak stains on your concrete driveway? No matter the issues, we have the power and technique to clean up your properties and make them look like they did when they were new. You’ll be amazed at how well our service works! Gutter cleaning is an important process for keeping rainwater runoff from your property’s foundation areas. Without a properly functioning gutter system, the foundation area will be vulnerable to water pooling when it rains. When water sits for a time near the foundation, it will seep up underneath and cause the soil to erode away. This is a very expensive repair that you can easily avoid with the proper gutter system. If you are looking for Power Washing Services in Esmont, please call 434-823-1737 or 540-910-1434 or complete our online request form.